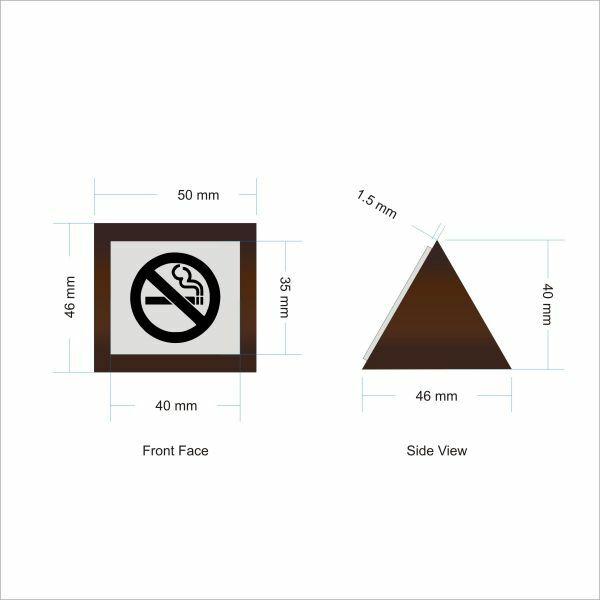 Our Wooden Block No Smoking Signs are supplied as a quality Dark Mahogany or Light Oak block, with a 1.5mm thick impact acrylic front plate. The Block measures approximately 50mm x 46mm x 46mm with a front plate of approximately 40mm x 35mm (See images for more detailed measurements). The impact acrylic is available in a variety of colour combinations and is easy to clean. 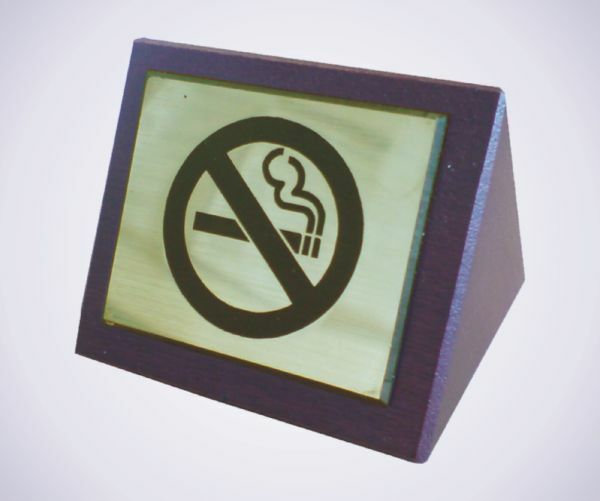 The No Smoking Symbol is engraved through the top layer of the material to expose a contrasting colour. These free standing signs can be engraved on one or both sides.